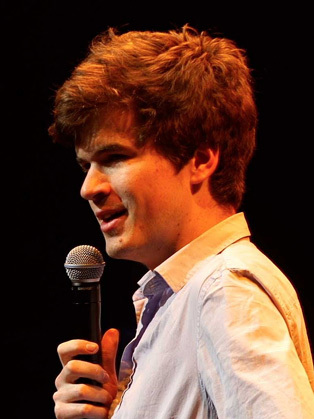 Apologetic Eton and Oxford alumnus Ivo Graham started stand-up in 2009 at the age of eighteen and eight months later became the youngest ever winner of the prestigious So You Think You’re Funny award for new acts at the Edinburgh Fringe. Since graduating three years later he has become a regular fixture in the clubs and theatres of the UK circuit, with a gauche charm and crafty, self-aware wit which has proved a hit with audiences of all ages, and led to appearances on multiple TV and radio shows including Live At The Apollo, Mock The Week, Comedy Central At The Comedy Store, As Yet Untitled, Live From the BBC and Fighting Talk. His three solo stand-up shows have enjoyed sell-out runs at Edinburgh and London’s Soho Theatre, and he will be returning there and elsewhere to perform his fourth hour in 2017.